This year marked the sixth edition of Wines of Germany's Top of the Crops competition, a key event in the UK's wine trade calendar. How do you make someone cool? Do you give them a distressed denim jacket? How about a line drawing tattoo? If we're talking about wine, all you've got to do is make sure it's chilled in the fridge for at least half an hour beforehand right? Wrong. There's much more to making a wine bottle cool than that. From the design of the label to the grape variety and region it comes from, there's a host of important considerations in deciding which wine is worth your purchase and which wine is going to tell the world that you know your stuff. Consumers are becoming increasingly drawn to more visually interesting bottles and, as a result, it's becoming much more important for winemakers to design striking labels with a trendy aesthetic. But how do you go about navigating through the coolest of the cool? Thankfully, all the difficult leg work of deciding which German wines are officially the coolest has been done for you. All that's left for you to do is drink them. This year marked the sixth edition of Wines of Germany's Top of the Crops competition, a key event in the UK's wine trade calendar. The annual Top of the Crops blind tasting took place on 28 February at Humble Grape Fleet Street, gathering together nine wine experts to blind taste their way through 160 wines and come up with a list of the best German wines in the game. Sounds awful, right? The judges tasted through a huge range of styles, grape varieties, regions and price points to come up with their selection of the final 40 wines. 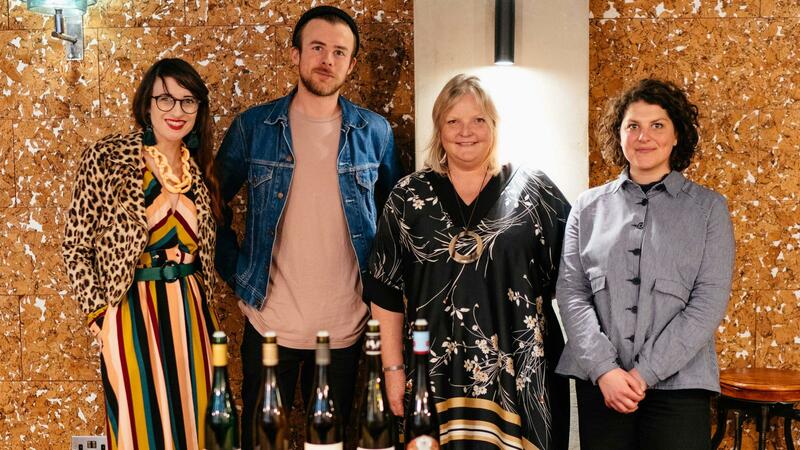 After these 40 wines had been chosen and revealed, it was only then that a panel of creative experts arrived to officially select 'Germany's Coolest Wines'. These judges included Abigail Barlow (the creator of award-winning drinks design agency Barlow & Co and an expert in wine branding), Iona Thomas and Adam Brazier (co-founders of mural company Graffiti Life, which works with top brand such as Nike and Adidas on creative activations), and our own Annie Brooks (Foodism designer, beer-label creator and undisputed best dresser in the office). 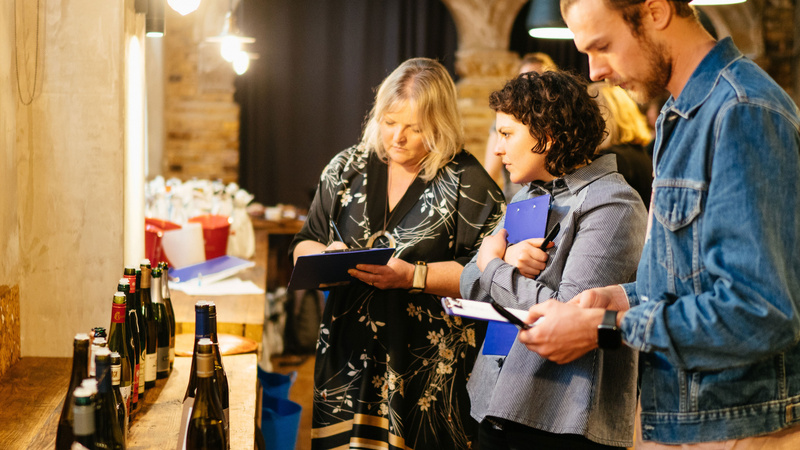 All coming from different creative backgrounds, these judges don't necessarily have expertise within the wine industry, but they do have their fingers on the pulse of 'cool'. 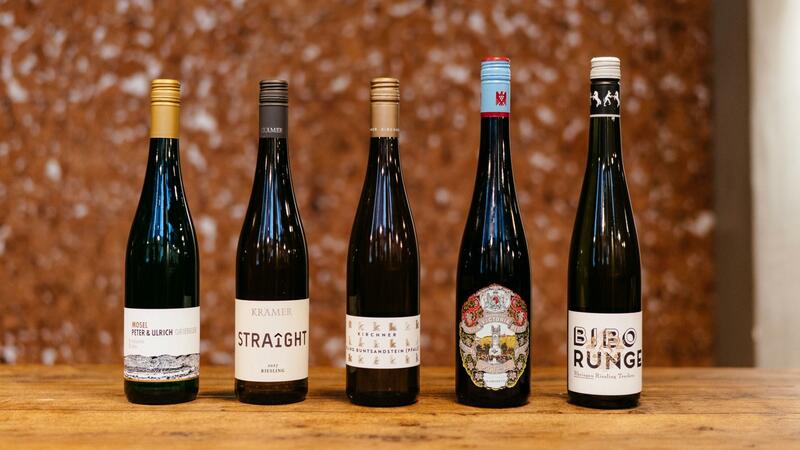 The experts judged the label and packaging of each of the 40 shortlisted wines, discussing between them to decide on which five wines that they thought were Germany's 'coolest'. The wines were mainly examined within the context of whether the judges would pick up these wines when choosing a wine in a supermarket or a wine merchants – the sort of thing that would normally grasp their attention on the shelves. "Having a label that catches your eye has become something that's almost as important as the taste of the wine," agrees Annie Brooks. A perfect balance of rich fruit flavours of apple, peach and apricot, and refreshing acidity and just a hint of minerality on the finish. A well-balanced wine with good levels of fruit and acidity. Pleasant peachy and citrus notes. A spritzy wine with zippy acidity, this Riesling is light and refreshing with good balance. Excellent value. Complex, good value with refreshing acidity and notes of citrus and flowers. A complex wine, with notes of kerosene, bright acidity and a long finish. This wine will age well. If you want the chance to sample these fine wines for yourself (and increase your cool points by tenfold) all you need to is get yourself down to The Big G tasting at Somerset House on 2 May where you'll be able to try out a selection of more than 200 wines. The event will play host to a German sparkling wine bar, a wine-vending machine and food from the good folks at KERB. Attendees will also be able to meet lots of German winemakers and chat to them about their wines.